From the time of the His resurrection until the hour of His spirit ascension on high, Jesus made nineteen separate appearances in His new “Morontia” form to His believers on earth. The Master’s message is Universal and is now fully revealed as never before, in the Fifth Epochal Revelation to our planet, The Urantia Book. 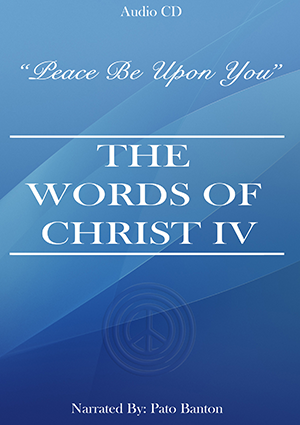 Words of Christ IV: Peace Be Upon You - is the culmination of the Words Of Christ series and is comprised of two long tracks.